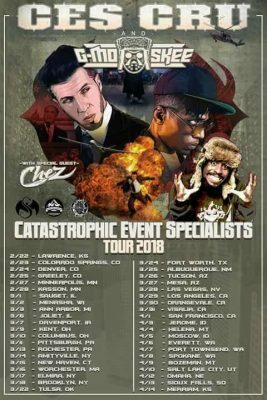 News > Underground News > Ces Cru and G-Mo Skee’s “Catastrophic Event Specialists” Tour starts next week! 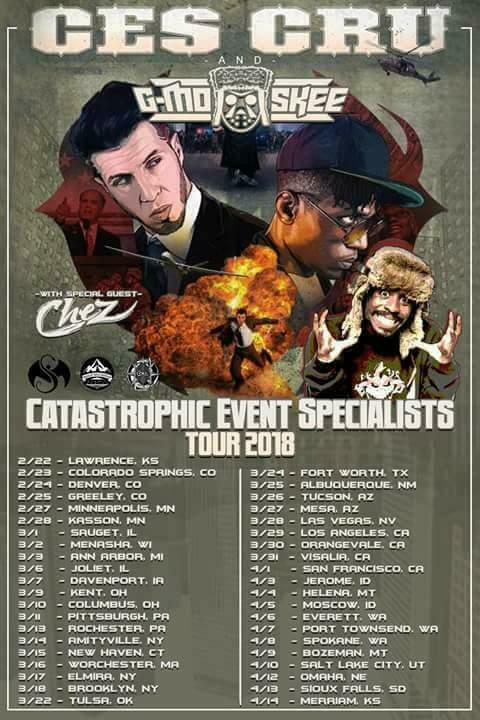 Ces Cru and G-Mo Skee’s “Catastrophic Event Specialists” Tour starts next week! A few weeks back, we told you about the Catastrophic Event Specialists Tour that was being booked in select cities. 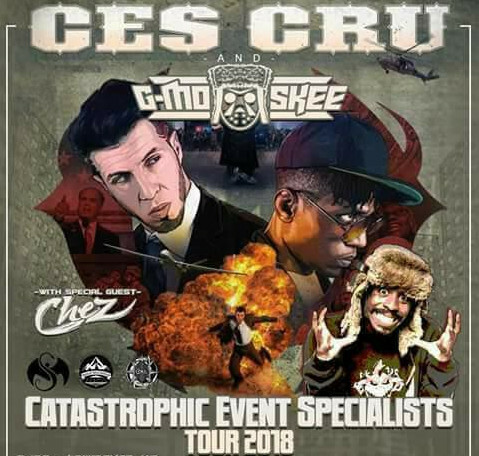 The tour will be headlined by Ces Cru and feature G-Mo Skee and Chez. Since then, they have booked nearly 40 dates, and it all starts up on Thursday, February 22nd in Lawrence, KS! Check the flyer below to see if it’s hitting a city near you, and then check the link for tickets! I’m definitely swinging by that Fort Worth show, so hope to see you there!